Snavi was featured in the website hosted by Nikkei Inc., a leading economic newspaper in Japan. Below is the translation of the featured article. 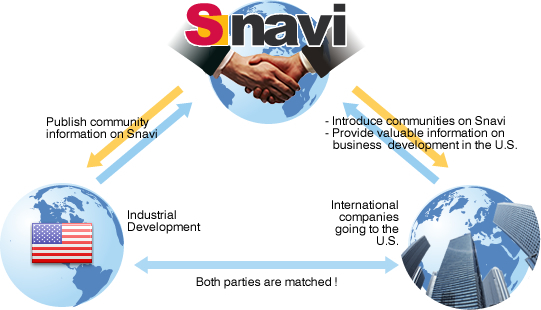 Snavi (Site Navigator) that bridges Japanese companies and various communities in the U.S. While there have been many Japanese companies going to Asia where remarkable development has been notably ongoing, there have also been continuously many companies who have established manufacturing bases in the United States including South/Central America where population increase and business development are rapidly observed. While our economy has been globalized and our business world borderless, "localization" and "uniting" are being redefined as the keywords that describe competition. A construction company that have been supporting many Japanese companies‘slocal establishments including Toyota's has started a new website "Snavi" to provide information for Japanese companies who are planning to go to the United States to develop their business. We interviewed Mr. Hideo Ito, who is in charge of their operation, about the background and the goal of their new operation. Providing Knowledge Gained Through Various Projects with Japanese Companies. As one of the Japanese who have long worked in the U.S, I wanted to help lower the psychological hurdle between Japanese companies and various communities in the U.S. for their smooth and successful business development in the U.S, and that is why we started this new service Snavi. We have great project experience with Japanese companies in the U.S. and tried to incorporate our finding in the service. Our goal is to become a matchmaker, and for Japanese companies who are planning to develop their business in the U.S, and various U.S. local area entities such as chamber of commerce, economic development agencies, etc. to deepen their relationships through this website. Introducing Local "Community" in Various Areas in the United States. For that purpose too, it is extremely important to study each community before deciding where you want to build your plant. Our Snavi, from that perspective, introduces many communities who are actively inviting new business. We are planning to add more introduction pages of these communities in Japanese. In the elections in the United States, creating jobs has been one of the critical issues. Therefore, attracting business is enforced sometimes in federal or state level, but it is basically done municipally. Local government, especially economic development agencies and chamber of commerce, etc. go over and beyond to provide incentive packages such as site development, tax, infrastructures, etc. to invite new business. Sometimes they form a professional organization such as Economic Development Fund, etc. 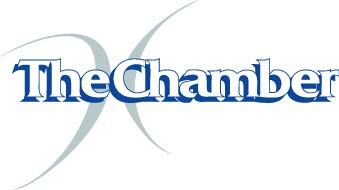 On this page, we generally call these local entities that attract business "Communities". Upon site selection in the United States, it is essential to have expertise on site selection in the U.S. in addition to criteria observed in Japan. The TIPS for Each Category provides a wealth of information such as the flow of site selection, unique laws and regulations in the decentralized U.S. – very useful basic information for companies who are planning projects in the United States. We Will Provide Advice Based On Our Great Experience in the U.S.
ge of them for their projects in the U.S. Siemens, a German company is undertaking a large-scale wind mill assembly project in Kansas, but this is a good example of utilizing the preferential treatment and subsidy. I am a Japanese and I am hoping that Japanese companies will capture great opportunities like this for their business development in the U.S.
"Snavi" provides critical information on site selection in the U.S. for Japanese companies, such environmental concerns, and logistics. Moreover, Gray Partners, Inc. that operates Snavi also offers individual consulting work regarding developing business in the U.S. Please let us help you with your plan to go overseas, including the Untied States.